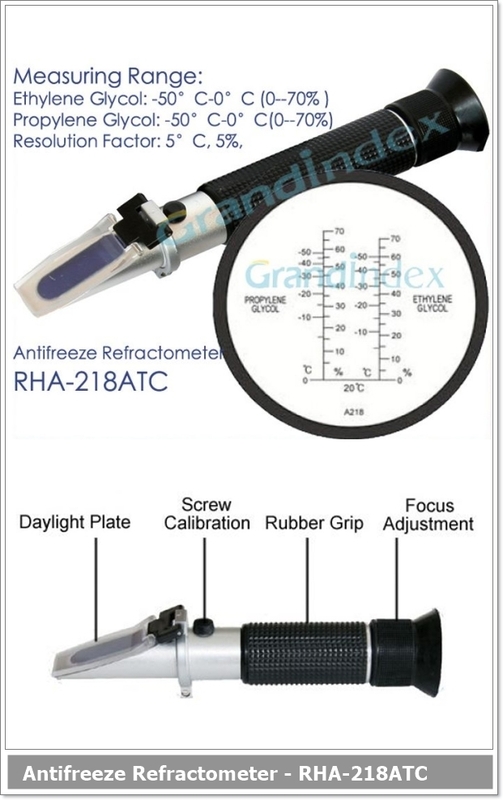 EXTREMELY EASY TO USE, PRECISION INSTRUMENT FOR MEASURING THE CONCENTRATION OF GLYCOL ANTIFREEZE. Suitable for testing / analyzing the Glycol concentration of engine coolants and antifreeze solutions, such as Mono Propylene Glycol or Mono Ethylene Glycol. Heavy-duty and lightweight with its aluminium construction. Easy to focus and calibrate. Made with the highest and finest quality aluminium & rubber to make it lightweight. Compensation) from 10° to 30° to correct temperature discrepancies during use. Pipette + 10pcs pipettes more for free.